Word 2007 is quite smart when it comes to saving files. Whichever format was used to open the document, Word chooses the same format for writing the document back to disk. For example, when you open a WordPerfect document, Word automatically saves it back to disk in the WordPerfect format. 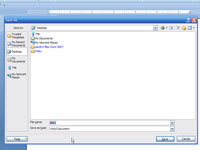 The secret is to check the Save As Type drop-down list in the Save As dialog box. 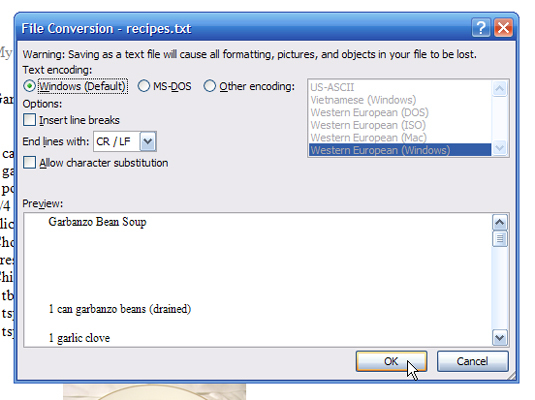 In fact, choosing a new item from that drop-down list is the only way to save a document in another format. 1In an open document, select File—Save As. 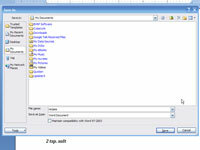 2Choose a document type from the Save As Type drop-down list. 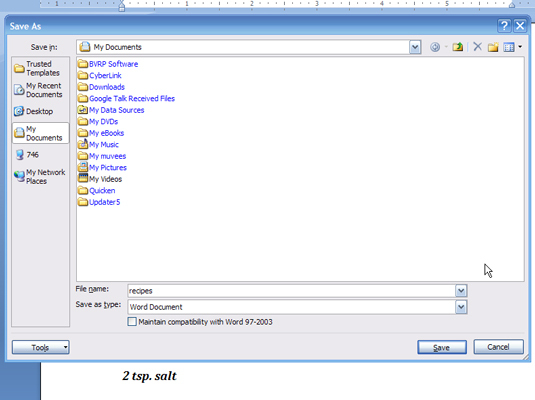 For example, if you need to save a document as a text file, choose Text Only. Keep in mind that Word remembers the format! If you notice that your documents aren’t being saved to disk the way you want, the Save As Type drop-down list is to blame. Always double-check it to ensure that you’re saving documents to disk in the proper format. 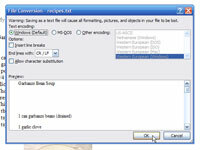 Word may display a dialog box telling you that saving the document in a different format is, well, bad.